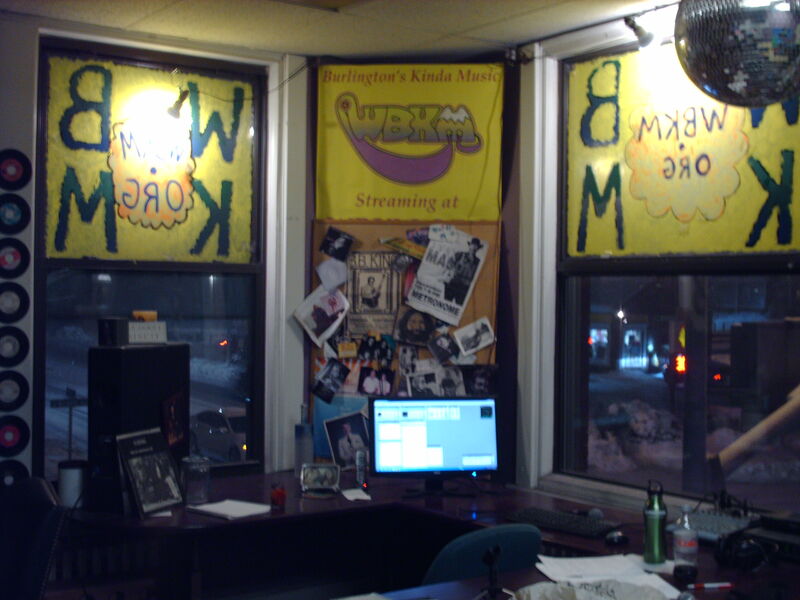 I just got back from doing my local music radio show on internet only WBKM.org. I had to work today so I did not get in the usual prep time. I brought in a few ideas and built the show in the studio. From our small city to the great big world, these are the Sounds Of Burlington.Last week we were in the ninety degree range, but it’s cooled off nicely this week. It’s a cool evening. It’s nice night for a light coat and a long walk. This is Overcoat by Swale on WBKM and this is Burlington’s Kind Of Music. Great new song from Francesca who is making some waves. Abbie is off touring the country. Check her out if she stops by your town. I was driving around yesterday listening to In Waves and Red Flannel Hash. A lot of Sarah’s songs grabbed me, and Ease just wanted to get played tonight. Swale turned 13 last Saturday and played a show at Radio Bean with lots of cool bands. They were so good and Eric Olsen and Amanda Gustafson have been so over the top kind lately, that I want to say an extra thanks for everything, especially the music. This next singer has an album of kids music coming out soon. She plays a show every Friday morning at Radio Bean. A great song from a great writer and performer. I think she will be at Signal Kitchen in December. Great love her madly line in the Hana song. Cricket are making waves in town and touring too. Gorgeous song from Satori. If marriage is the ties that bind, then why do I feel so free? Yay Linda! OK, here is the next song from No Need To Beg. Great song from the classic Burlington band. Great song from Jeremy. Maryse is just ridiculously good. I just love Phil’s sense of songwriting. I just got an e-mail with a new song from this band who used to play Burlington all the time. I miss Lendway. Cool weird song from Wren. Pours played the Swale birthday party too, and did a great version of that song. My brother Ken had some dental work done today, so I want to dedicate this to him. BT always play out and I keep missing them and really need to step up my game. They are very good. I’ve been playing a lot of new music so I though I’d toss in a classic Envy song. Killer song from BB who also played a killer set at the Swale birthday party. Particles are just a great band. This next song is a classic and I can’t believe I’ve never played it. Lots of classic Burlington rock in there, except for Mockingbirds who were from Rhode Island and played here once. I hope you enjoyed checking out the music of our town. Let’s do it again next week, shall we? OK, let’s let Black Rabbit take us out. I just got back from my local music radio show on internet only WBKM.org. I highlighted a little bit of the massive amount of music that happened in town last week, and highlighted a fun upcoming show. From our small city to the great big world, these are the Sounds Of Burlington. The town is full of people on this hot and sticky night. It’s so cool when words can stimulate your intellect and your emotions. It’s great when powerful words are married with music that creates a new way of communication. It can speak to you on multiple levels simultaneously. It can lift your joy or lift your sorrow and there are so many wonderful musicians that really care about people. I want to start by saying thank you to some of the great caring people out there who have created some wonderfully caring music. Let’s begin with Searching For The Sun by The Cush on WBKM, and this is Burlington’s Kind Of Music. I just love that song. It fills my heart and makes me soar. I hope it does the same for you. Beautiful song from Alice Austin, who really needs to go on The Late Show with Stephen Colbert and duet Everyone Loves A Narcissist with him. Stephen? That Peg Tassey song works in so many ways on that lovely song. Peg is getting married soon. Congratulations!!!!!! What a perfect song by The Cush. OK, it’s time to start a new album to play all the way through, song after song, week after week. I really like this album and hope you enjoy exploring it. This is the first song from No Need To Beg by Phil Yates & The Affiliates. I was really tired early Monday and caught a nap, then went out to Nectar’s. I missed Sleeping In, and think I need to check them out, after listening to songs like that. Cave Bees have not played in a while but I thought Love would sound great coming out of the song before. Kickstand played at Nectar’s on Monday before Phil Yates. They were pretty fun and had a nice lamplight show going on behind them. Phil and the band played a killer show and I’m so glad I went. Last night I went to The Monkey House to see one of my favorite bands ever, Slingshot Dakota. The other bands were pretty cool. Here is how the show went, in order. Slingshot played the usual blinder of a show. They were wonderful and hanging out with Tom Patterson and Carly Comando filled my heart with their love and care, and they feel that way about a lot of cool people, so they’ve got that going for them as well. Pretty Lousy was just Justin Passino singing and playing acoustic guitar and he rocked nicely. Wren’s show was just trippy magicfun. Doubt rocked hard, so I was happy. OK, on Saturday these bands, and more, will rock Radio Bean. I can’t wait, though the afternoon will be interesting. That’s going to be such a fun show on Saturday at Radio Bean!! OK, let’s play some more songs by people who care, and create bands, and write great songs. Talk about caring wonderful people who write great songs, Francis do such a great job. Congratulations to Paul who just got married. Thanks for all the loving words Blondes, Rabbit and Mountain!! OK, let’s keep rocking. I just love that song. It makes me feel like I can sprout wings and soar. Hero existed for a year and dissipated, but it was a lovely year. Classic from Chin and thanks for nice thoughts from Andrew X Smith. This next song is one of those that I just love. I hope you do to. Elephants is a band of wonderful caring musicians too. I hope you enjoyed checking out the music of our town. Let’s do it again next week, shall we? Here’s Black Rabbit to take us out. Song after: Margaret (live) – Marillion, and MARILLION – THE FISH YEARS and Fish. regular programming, which is pretty cool!! I hope everyone enjoyed the Slingshot Dakota show. At that volume, I’m assuming you all heard it, including Chris Stecher in China. Seriously though, powerhouse tunes from powerhouse people and a fun happy crowd and really, what more could you ask for? Oh, and the other three bands were really good too!. Mr Doubtfire opened with some fun swinging indie rock that reminded me of Doom Service, and sounded like it would fit nicely on the Mallratts soundtrack. They hit some nice heights and were really fun. The guitar player singer lost his guitar strap at one point and kept playing on anyway. Gotta love rock and roll! Wren Kitz followed (was that Wren and Mary?) with a very intense set of disembodied voices wrapped around mournfully intense drones until the acoustic guitar evaporates out if it and the singing evaporates out of it and the cello is bowed, and it fills out the sound and the sound becomes more intense and the pedals and knobs begin to shriek and scream, and the wailing becomes moodily immaculate and descends into a peaceful acoustic guitar part and a sweet vocal part and it hangs there for a while and ascends into the heavy wailing shriek, as Wren pulls the chains across the guitar, and it wails until finished and descends into the lovely acoustic end. It was a pretty sweet set. Pretty Lousy followed and was just Justin Passino singing and playing acoustic guitar. His indie rock sound would have fit perfectly on the soundtrack to Mallrats and all of his songs had a nice sweep to them. After so much electronic intensity I wondered why he was placed in that spot, but that thought evaporated as I was completely engaged with his songs. The set was a bit too short, but was song for song sweet. The breaking a string in the second to last song and just playing the last one with a broken sting was pretty rock and roll too. Slingshot Dakota followed with a staggeringly beautiful full out rocking sound. Their songs have a great mix of intensity and gorgeousness laced with sweet melodies and powerhouse and super-precise drumming. They played some of songs from Dark Hearts and some from the next album that will be coming next year. The music forced me to move, and lots of people were dancing, and fun was had by everyone in the room, and possibly the few blocks around. Carly Comando spoke passionately about caring for yourselves and your friends and Tom Patterson spoke about the magic of this town, although a lot of the magic comes from great bands like Slingshot who come and join with us by playing for and with us, Their set was beautiful and powerful, note for note. I reveled in every moment until they wrapped it up. I hung out, sad a quick goodbye then took the long walk home. I love the fact that so many wonderful people are out there making the music that comes out of who they are and who they are becoming. I feel so lucky to be a part of it, and love the effort that it takes to notice when it will happen and get out to be with the show. I’m planning on enjoying as much as I can and am thankful to bands like these who make life so much fun. 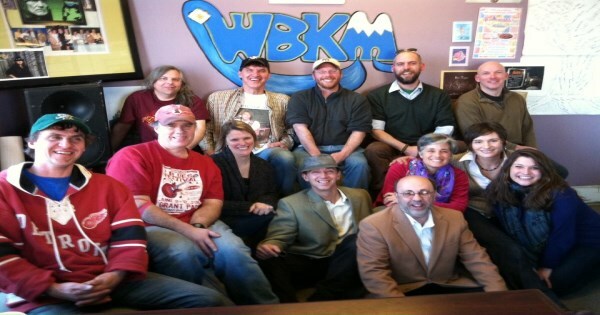 I just got back from doing my local music radio show on internet only WBKM.org. I highlighted some of the great music in town last week, some of the great music coming up this week, some music to say goodbye and some music to say thank you. From our small city to the great big world, these are the Sounds Of Burlington. It’s a beautiful night in the Queen city and there is a ton of stuff happening this weekend. Grace Potter is filling the waterfront with killer local and national bands Saturday and Sunday. It’s Pride week. The Art Hop is happening in the South End. Before I get to all the great stuff coming up, I want to mention a show I caught last week. Rue Mevlana put on a truly stunning spectacle of stage and music. They wove casual and classic stories with a hypnotic light and image show. Here is a hint of what the music was like. That show was beyond words, which is unusual for me. OK, Grace is bringing a few national bands this weekend, but here are some wonderful local bands who will be there too. Four really cool songs from four really cool bands who are all going to play great shows this weekend on the waterfront. Tomorrow at the Art Hop these bands are playing at Arts Riot and nearby. I saw Prince once (thanks Kevin Joseph Ryan) and he was amazing, Unfortunately, Prince is not actually playing the Art Hop. However, a bunch of local musicians, with Craig Mitchell singing, will play a show called Operation Prince. It should be a wild time. The other three are playing at Arts Riot and that will be a great time as well. A little farther down Pine st, these next three bands are playing at Zero Gravity Brewery. The singer for the first band was also part of the Rue show. Black Rabbit have a new drummer and are ready to rock us hard. BB rock hard too. The Toes are so delightfully quirky, and rock hard too. I’ve seen this next band several times in town and am always blown away. They are a killer rock band and two of the nicest people you could ever hope to meet. I’m so psyched for their show next Wednesday at The Monkey House. I just saw that song on bandcamp and really liked it. Wave is a killer song from the first album. The first two are from the second. I can’t wait to see you Carly Comando and Tom Patterson!! OK, it’s time to play the last song on the stunning album JV. I guess I have to start a new album next week. The Mountain Says No are playing the Art Hop on Saturday, so if you like that song, Go Check Them Out! I played the two songs from Jesus Christ Superstar in honor of my father, who died suddenly on Tuesday. That was, maybe, the only music that we both really loved. It’s hard knowing that he will never be there again, while wondering where, if anywhere, he is now. It’s been a long few days, but there have been so many wonderful people sending good thoughts that I can feel the love being sent to me and my mom and brother. I want to just play some of the music that has inspired me and made me feel love. Do not be offended if your music was not played, I’m just grasping for any lifelines that I think of. I don’t have enough time in the show to grasp even a third. I love you all for how you have helped and know we will all be there for anyone going through such a tough time. I want to start with a song from a man who’s love even radiates through social media posts. Last week I saw Joe Adler, who recently lost his father, talk about seeing a bird every time someone has died, and feeling like their soul might be in the bird. I don’t have the song Little Bird to play, so let’s start with the above mentioned, love radiating, Aaron Flinn. I want to thank you indeed. Thanks for all the kind words, all of you. Life is full of joy and pain and dad always wanted to help the downtrodden. I think this song is highly appropriate. I always got such a timeless feeling from that song. Thanks Matt Hutton. Thanks Phil Yates, and OMG thank you Raph Worrick. Thanks Rebecca Rogers, Diane Sullivan, and make sure you send lots of love to Ornan McLean and his family, because they need it too! Amanda Gustafson, Eric Olsen, you’ve been fantastic. OK, here is another song that I’ve just always loved and really want to play. I just love that song too. I hope you enjoyed checking out the music of our town. Let’s do it again next week, shall we? I always play a Fish song after my show, because I love his music and his ideas and his fantastic way of expressing them through his very intense lyrics. This week I just got an album I’ve been waiting for and just love this song. I don’t have to be up early so I can hang out a bit later tonight, so let’s go. I just got back from the theater, or seeing music, or whatever the heck that just was. I knew Rue Mevlana was going to have way too much dance pop music for my taste, but they often seem to have a cool edge to the songs, so I thought I’d take a chance and walk around the corner and see the show billed as Motley Rue. They held it on North Winooski Ave at the Off Center For The Dramatic Arts. I took the 5 minute walk over, slipped into the nondescript door on the side, checked in with will call, and waited until they opened the doors. We walked down the hall, into the room, down the next hall, then down the next one into the tiny black box theater. I grabbed a chair in the back and soon it was showtime. I just got back from my local music radio show on internet only WBKM.org. I played a nice mix of new and old music and emphatically said Happy Birthday to Joe Adler. From our small city to the great big world, these are the Sounds Of Burlington. I just got back from seeing music at the last installment of Summervale, the weekly festival that happens every Thursday in Burlington’s Intervale. The darkness began settling in during the middle of the set and the change of seasons is upon us. The music was great, and I’ll talk about that in a bit, but one person has done a lot to make the music happen, Joe Adler, and it was his birthday. To help celebrate, I’m going to go back to an album I received last week and play a fun song. It was fun reading Dan Bolles mention of nameless and finding the balance of clever but not too clever for their name. They are playing a reunion show at Higher Ground Saturday night. Cool party song from Wave and great song from Adam Rabin. At Summervale tonight is was Michael Chorney, Francesca Blanchard, and Joe Adler. Each told a story then played a song then passed it to the next player. Michael was a bit more quiet but his guitar playing was so elegant. Francesca played guitar beautifully and had some great articulation to her vocals all night long. Joe was the storytelling ringmaster and played a bunch of fun songs. Here is a hint of what it sounded like. Such great music tonight. Yea, Joe has played a lot of music in this town and booked a lot of music in this town and has gotten a lot of people excited about music in this town and it’s his birthday, so let’s play some of his music. That was Joe and the band live at Nectar’s. They are such a fun band. The song in the middle was from his star-studded solo album, and the first was from the 11-11-11 EP. 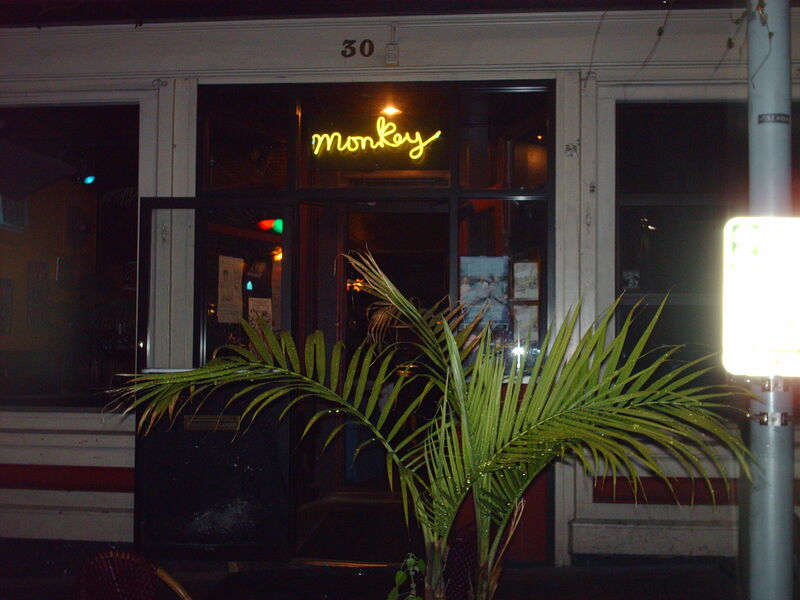 OK, in non Joe news, this band is coming to The Monkey House on the 16th. They are a great band and I’ve loved them more and more every time I’ve seen them. You should really check them out Joe!! Classic song from the ’90’s. That’s a new Doom song from the F*@! Cancer compilation to raise money for Leukemia research. Their singer guitar player Jeff Foran has been fighting it so I wanted to let people know about it, and bought a copy of the album today. Every little bit helps. Killer songs from Slingshot. OK, it’s time for the next song on JV, the killer album from The Mountain Says No. This may be one of the best songs from Burlington ever. Two great songs from the ’90’ and one from today. We’re so lucky in Burlington. Let’s keep rocking. Great song from the Rutland band. Hmm, Lendway. OK, let’s play another fun Mailbox song. Kat and the band are at Radio Bean tonight and playing on Church St next Thursday. 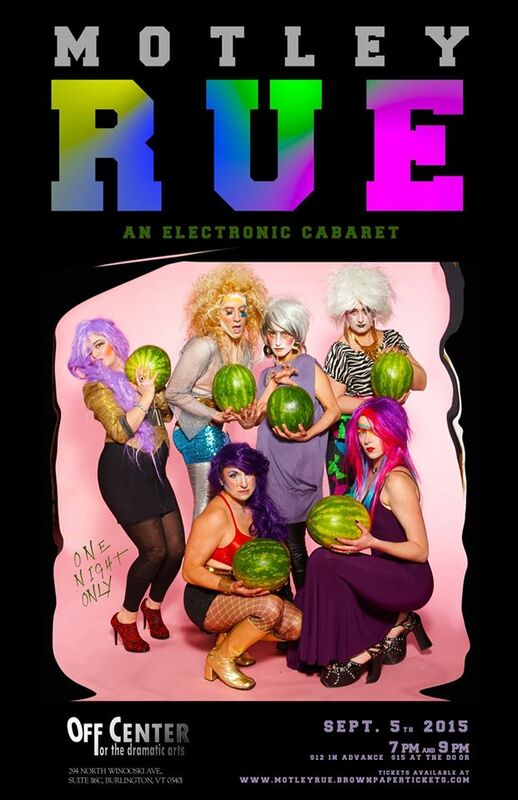 Rue have a couple of shows coming up Saturday at the Off Center For The Dramatic Arts. This next singer is one of my all time favorites. That was Joe and the band live at Nectar’s. Happy Birthday Joe! Finder was another classic ’90’s song. OK, time to take off I hope you enjoyed checking out the music of our town, let’s do it again next week, shall we. Here’s Black Rabbit to take us out. I’m not there yet, but I’m thinking. I think it was the clerk who would not issue any marriage licenses that made me want to ask if she was a Christian. Jesus never said anything about gay people so how do you know it’s right to take a stand against them? Didn’t Jesus say love everyone? I was thinking about the end of the world. What did Jesus say about how the world would end? Revelation has some terrifying stories, but weren’t they some of the stories that were used to scare people back in the day? What did Jesus say about the end times? Maybe he didn’t say anything because he knew our temporary home would go on and on, and he knew the best way for it to go on and on would be if we all loved each other. That’s always the message I’ve gotten from Jesus, and why I believe more in the fish than in the cross.